Philip is the author of many popular books on science, including works on the nature of water, pattern formation in the natural world, colour in art, the science of social and political philosophy, the cognition of music, and physics in Nazi Germany. 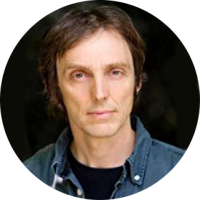 He has written widely on the interactions between art and science and has delivered lectures to scientific and general audiences at venues ranging from the Victoria and Albert Museum (London) to the NASA Ames Research Center and the London School of Economics. Philip continues to write regularly for Nature. He has contributed to publications ranging from New Scientist to the New York Times, the Guardian, the Financial Times and New Statesman. 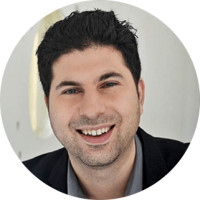 He is a contributing editor of Prospect magazine (for which he writes a science blog), and also a columnist for Chemistry World, Nature Materials, BBC Future and the Italian science magazine Sapere. 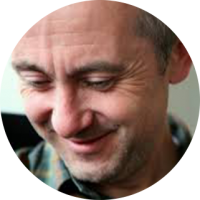 He has broadcast on many occasions on radio and TV and is a presenter of “Science Stories” on BBC Radio 4. 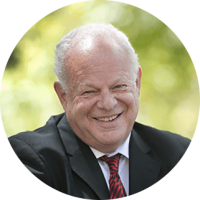 He is a Fellow of the Royal Society of Chemistry, sits on the editorial board of Chemistry World and Interdisciplinary Science Reviews, and is a board member of the RESOLV network on solvation science at the Ruhr University of Bochum. 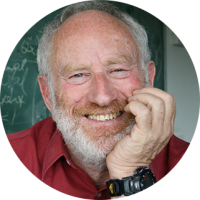 Michael Berry is a theoretical physicist known for his research in the ‘borderlands’ between classical and quantum theories and ray and wave optics. His emphasis is on geometrical singularities such as ray caustics and wave vortices. Michael discovered the geometric phase, a phase difference arising from cyclically changing conditions with applications in many areas of wave physics, including polarisation optics and condensed matter. He delights in finding the arcane in the mundane: mathematical singularities in rainbows and the dancing lines at the bottom of swimming pools; the twists and turns of a belt that underlie the quantum behaviour of identical particles; a laser pointer shone through bathroom window glass to demonstrate abstract aspects of wave interference; and oriental magic mirrors, illustrating the mathematical Laplace operator. Michael has received numerous awards, including the Maxwell Medal and the Dirac Medal of the Institute of Physics, the Royal Society’s Royal Medal, the London Mathematical Society’s Pólya Prize, the Wolf Prize and the Lorentz Medal. He serves on scientific committees of various institutes and was knighted in 1996.
appointments in the UK, and was made FRS in the same year. 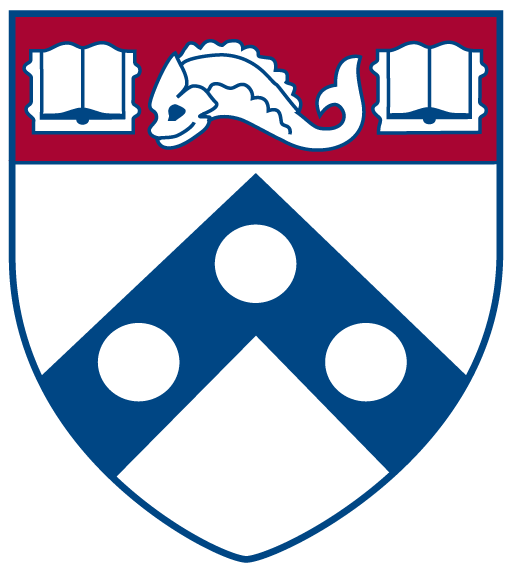 This Professorship was renewed in 2012. In 2009 he received the Gold Medal of the British Society of Rheology. (Rheology is the science of flow.) In 2013 he received the Weissenberg Award of the European Society of Rheology. Since 2013 he has been an Honorary Fellow of Trinity College, Cambridge. In March 2015 he was elected as the 19th Lucasian Professor of Mathematics at the University of Cambridge. Melissa Franklin is the Mallinckrodt Professor of Physics at Harvard University. 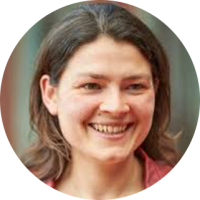 She is an experimental particle physicist who is working on studies of hadron collisions produced by the Fermi National Accelerator Laboratory with the Collider Detector Facility (CDF) and the ATLAS experiment at the Large Hadron Collider (LHC). 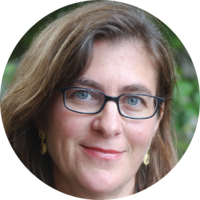 She works in a collaboration of over 600 international physicists who discovered the top quark at CDF, and 3000 physicists at ATLAS where she studies particle interactions and symmetries at the highest energies now available worldwide when the accelerator turns on this fall. Professor Franklin, born and raised in Canada, received her B.Sc. from the University of Toronto and her Doctorate from Stanford University. She worked as a post-doctoral fellow at Lawrence Berkeley Lab, an assistant professor at the University of Illinois in Champagne/Urbana and was a Junior Fellow in the Society of Fellows at Harvard, before joining the Harvard faculty in 1989 and becoming the first female tenured faculty member in the department of physics in 1992.
completed a Ph.D. at the University of California, San Diego, and came as an ICI Post-doctoral Fellow to the University of Cambridge in 1968 for what was meant to be a one-year sojourn. He has not yet left! He has published widely using fluid-mechanical principles in applications to the Earth sciences: in meteorology, oceanography, and geology. He was elected a Fellow of the Royal Society in 1987. In 2005 he was the only non-American recipient of a prize from the US National Academy, being awarded the Arthur L. Day Prize Lectureship for contributions to the Earth sciences; and the first Australian to win this prize. He has been elected a Fellow of both the American Geophysical Union and the American Physical Society. 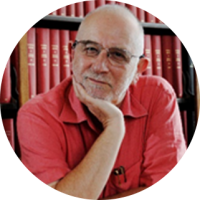 He was awarded the Murchison Medal of the Geological Society of London in 2007 and gave the Bakerian Prize Lecture of The Royal Society in 2011. Professor Jon Keating is the Henry Overton Wills Professor of Mathematics and Dean of Science at Bristol University, as well as a Fellow of the Royal Society. Jon earned First Class Honours in obtaining his B.S. degree in Physics from Oxford in 1985. Subsequently, he earned his Ph.D. in Physics from Bristol University in 1989 under the supervision of Sir Michael Berry. He has been at Bristol University since 1995 and was made a Professor of Mathematical Physics there in 1997. He was Head of the department from 2001-2004; more recently, he has been Dean of Science at Bristol since 2009. Dr. Keating has earned several honors throughout his professional career, including being named a Hewlett-Packard BRIMS Research Fellow (1995-2001) and an EPSRC Senior Research Fellow (2004-2009). He was made a Fellow of the Royal Society in 2009 and won the Frölich Prize in 2010. He is an editor of several mathematics and physics journals and is co- Editor-in-Chief of the journal Nonlinearity. In addition, he has given several plenary lectures at major mathematical physics conferences throughout the world. Naomi Ehrich Leonard is the Edwin S. Wilsey Professor of Mechanical and Aerospace Engineering and an associated faculty member of the Program in Applied and Computational Mathematics at Princeton University where she has been since 1994. In 2004 she was awarded a John D. and Catherine T. MacArthur Foundation Fellowship. In 2007 the Institute for Electrical and Electronic Engineers (IEEE) named her an IEEE Fellow. She has also received the University of California at Santa Barbara’s Mohammed Dahleh Distinguished Lecture Award (2005), the Automatica Prize Paper Award (1999), the Office of Naval Research Young Investigator Award (1998) and the National Science Foundation CAREER Award (1995). In 2001 she was the Lise Meitner Guest Professor at Lund University, Sweden and in 2007 a Visiting Professor at University of Pisa, Italy. She has delivered several plenary lectures at conferences including the IEEE International Conference on Robotics and Automation (ICRA) in 2008, International Symposium on Mathematical Theory of Networks and Systems (MTNS) in 2008, IFAC Workshop on Navigation, Guidance and Control of Underwater Vehicles in 2008, SIAM Conference on Control and Its Applications in 2005, SIAM Conference on Applications of Dynamical Systems in 2003 and the IFAC Nonlinear Control Systems Design Symposium (NOLCOS) in 1998. She teaches undergraduate and graduate courses in dynamics and control. Her research group includes graduate students, postdoctoral researchers as well as undergraduates. 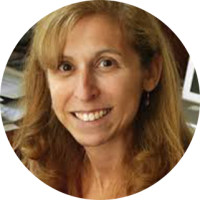 She has served as associate editor for Automatica and SIAM Journal on Control and Optimization. She received the B.S.E. degree in mechanical engineering from Princeton University in 1985. From 1985 to 1989, she worked as an engineer in the electric power industry. She received the M.S. and Ph.D. degrees in electrical engineering from the University of Maryland in 1991 and 1994. 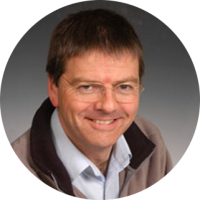 He has since won several awards both in Europe (Weissenberg Medal) and the USA (Bingham Medal) for his work on molecular rheology of polymers, and ran a large collaborative and multidisciplinary research programme in this field from 1999-2009 co-funded by EPSRC and industry. His research interests include: (i) molecular rheology of polymeric fluids); (ii) macromolecular biological physics; (iii) issues of theology, ethics, and history of science. 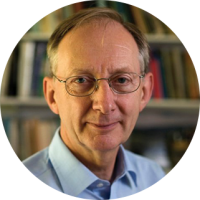 He has published over 180 scientific papers and reviews and is in addition regularly involved in science-communication with the public, including lectures and workshops on science and faith. In 2014 OUP published his book Faith and Wisdom in Science. He has been a Reader in the Anglican Church since 1993, in the dioceses of Ripon and York. From 2008-2014 he served as Pro-Vice-Chancellor for Research at Durham University. In 2011 he was elected a Fellow of the Royal Society. In 2012 he was made Vice-President of Science by the Institute of Physics (IoP). John Pendry is a condensed matter theorist. He has worked at the Blackett Laboratory, Imperial College London, since 1981. He began his career in the Cavendish Laboratory, Cambridge, followed by six years at the Daresbury Laboratory where he headed the theoretical group. He has worked extensively on electronic and structural properties of surfaces developing the theory of low energy diffraction and of electronic surface states. Another interest is transport in disordered systems where he produced a complete theory of the statistics of transport in one dimensional systems. with a negative refractive index, a property predicted 40 years ago by a Russian scientist, but unrealized because of the absence of suitable materials. He went on to explore the surface excitations of the new negative materials and showed that these were part of the surface plasmon excitations familiar in metals. This project culminated in the proposal for a ‘perfect lens’ whose resolution is unlimited by wavelength. These concepts have stimulated further theoretical investigations and many experiments which have confirmed the predicted properties. The simplicity of the new concepts together with their radical consequences have caught the imagination of the world’s media generating much positive publicity for science in general. 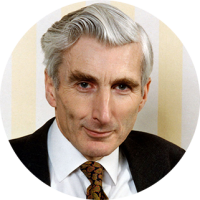 Martin Rees is a Fellow of Trinity College and Emeritus Professor of Cosmology and Astrophysics at the University of Cambridge. He holds the honorary title of Astronomer Royal and also Visiting Professor at Imperial College London and at Leicester University. After studying at the University of Cambridge, he held post-doctoral positions in the UK and the USA, before becoming a professor at Sussex University. In 1973, he became a fellow of King’s College and Plumian Professor of Astronomy and Experimental Philosophy at Cambridge (continuing in the latter post until 1991) and served for ten years as director of Cambridge’s Institute of Astronomy. From 1992 to 2003 he was a Royal Society Research Professor, and then from 2004 to 2012, Master of Trinity College. In 2005 he was appointed to the House of Lords, and he was President of the Royal Society for the period 2005-10. He is a foreign associate of the National Academy of Sciences, the American Philosophical Society, and the American Academy of Arts and Sciences, and is an honorary member of the Russian Academy of Sciences, the Pontifical Academy, and several other foreign academies. His awards include the Gold Medal of the Royal Astronomical Society, the Balzan International Prize, the Bruce Medal of the Astronomical Society of the Pacific, the Heineman Prize for Astrophysics (AAS/AIP), the Bower Award for Science of the Franklin Institute, the Cosmology Prize of the Peter Gruber Foundation, the Einstein Award of the World Cultural Council and the Crafoord Prize (Royal Swedish Academy). He has been president of the British Association for the Advancement of Science (1994-95) and the Royal Astronomical Society (1992-94) and a trustee of the British Museum, NESTA, the Kennedy Memorial Trust, the National Museum of Science and Industry, and the Institute for Public Policy Research. He is currently on the Board of the Princeton Institute for Advanced Study, the Cambridge Gates Trust, and has served on many bodies connected with education, space research, arms control and international collaboration in science. His main current research interests are: (i) High energy astrophysics — especially gamma ray bursts, galactic nuclei, black hole formation and radiative processes (including gravitational waves). (ii) Cosmic structure formation — especially the early generation of stars and galaxies that formed at high redshifts at the end of the cosmic ‘dark age’. (iii) General cosmological issues. Rosie is currently Principal Investigator of the EPSRC-funded Balance Network, supporting a network of academics around the themes of work-life balance in the digital age. She was also co-investigator on the EPSRC-funded Digital Epiphanies project, exploring the use of digital tools to increase reflection and help support self-directed changes in behaviour. She currently co-leads (with Chris Foulds) a research project analysing monitoring data from iMeasure – a web-based tool which allows householders to track their long-term energy use. The Consumption & Change theme generally run one workshop each year on a different topic, linked to the production of an edited collection. Before joining Anglia Ruskin, Rosie undertook a fellowship at the Parliamentary Office of Science and Technology where she focused on sustainable travel, and in particular electric vehicles. Her briefing note was sent to members of both houses of parliament. Rosie carried out her PhD research at the Department of Applied Mathematics and Theoretical Physics (DAMTP) at the University of Cambridge, where she specialised in fluid dynamics. Her PhD was on the noise generated by the fuel- efficient Open Rotor aircraft engine. While a PhD student, Rosie co-founded the Young Researchers in Mathematics conference, a large annual event for early career mathematicians. During her Masters she worked on an experimental study of the motion of ice shelves, at the Institute of Theoretical Geophysics, DAMTP. Dr. Ashley Zauderer leads the Mathematical & Physical Sciences Department for the John Templeton Foundation. Ashley’s academic research focus is observational radio astronomy applied to some of the most explosive astrophysical transients in the Universe including supernovae, gamma-ray bursts, and tidal disruption flares. She has also studied colliding wind binary star systems, the interstellar medium, merging galaxies, and an atmospheric correction technique for radio telescopes analogous to laser guide star adaptive optics. 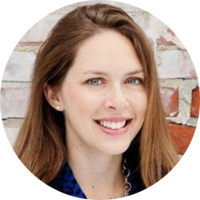 Before joining the foundation, Ashley was an NSF Astronomy & Astrophysics Postdoctoral Fellow and prior to that, a Research Fellow in the Berger Time Domain Group at Harvard University. She completed her Masters and Ph.D. in Astronomy at the University of Maryland College Park and her bachelor’s in Astrophysics at Agnes Scott College where she played collegiate basketball. Ashley has an interest in education and science-faith topics, working as a Christine Mirzayan Science & Technology Policy Fellow in the Executive Office at the National Academy of Sciences on the Science, Evolution, and Creationism publication. She has spent time at Yonsei University in Seoul as an NSF East Asia and Pacific Summer Institute Fellow, at the Arecibo Observatory in Puerto Rico with Cornell, and at the Owens Valley Radio Observatory in Big Pine, CA with the California Institute of Technology.